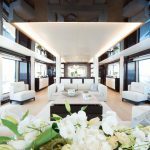 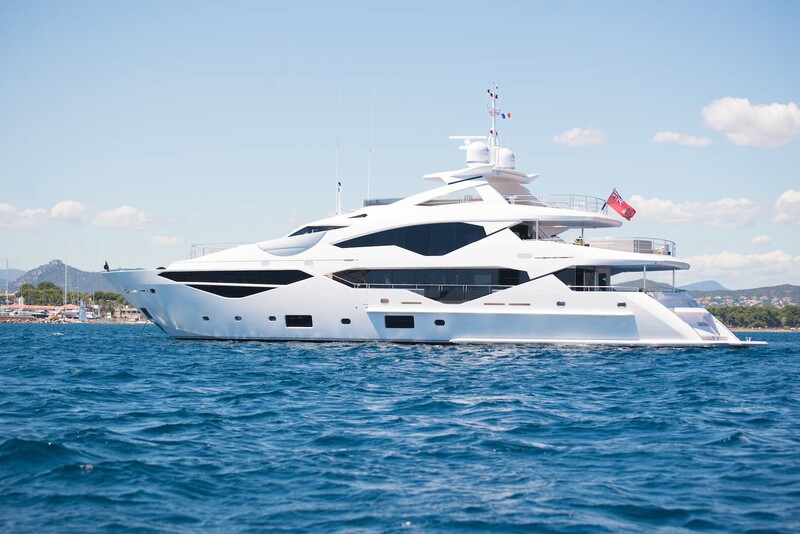 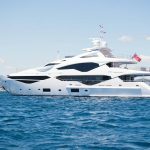 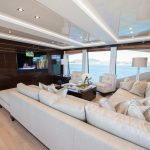 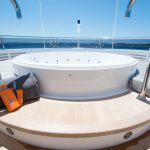 Enjoy a stunning retreat aboard E Motion, an exquisite luxury yacht crafted by Sunseeker in 2016. 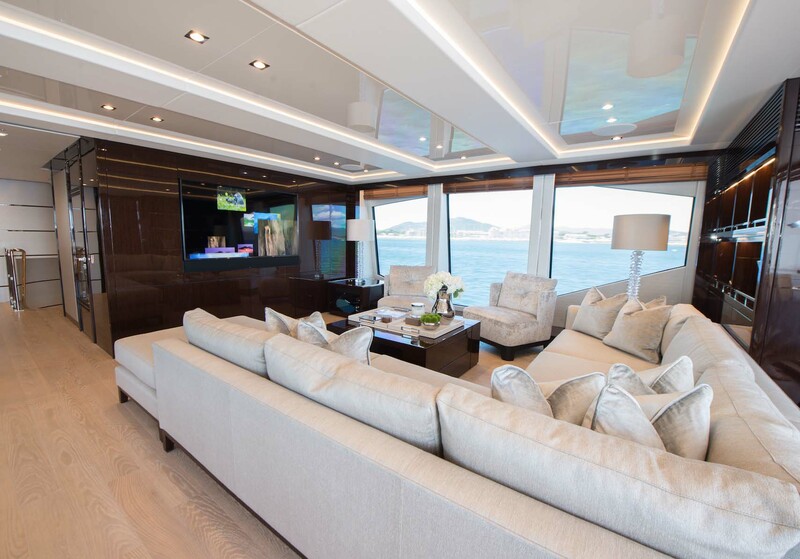 At just over 40 meters and with five spacious cabins, E Motion can comfortably sleep up to ten guests. 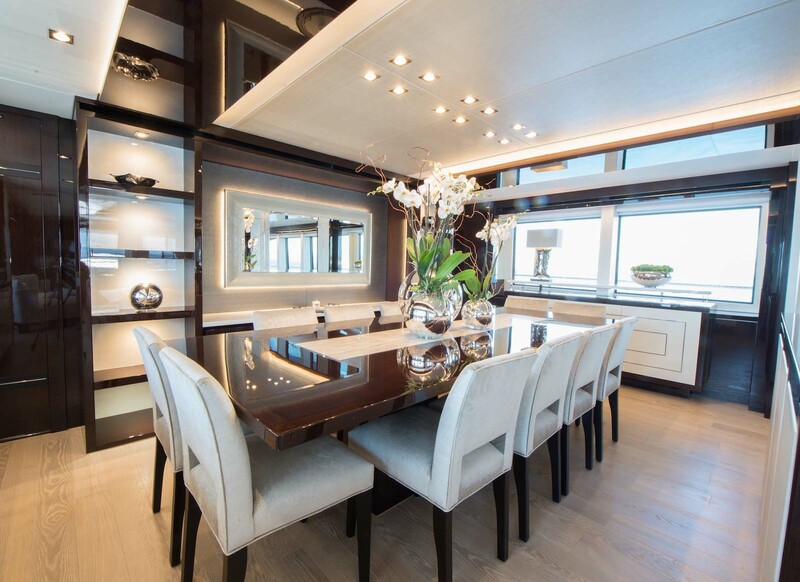 With her stunning interior and exterior style, E Motion is sure to impress. 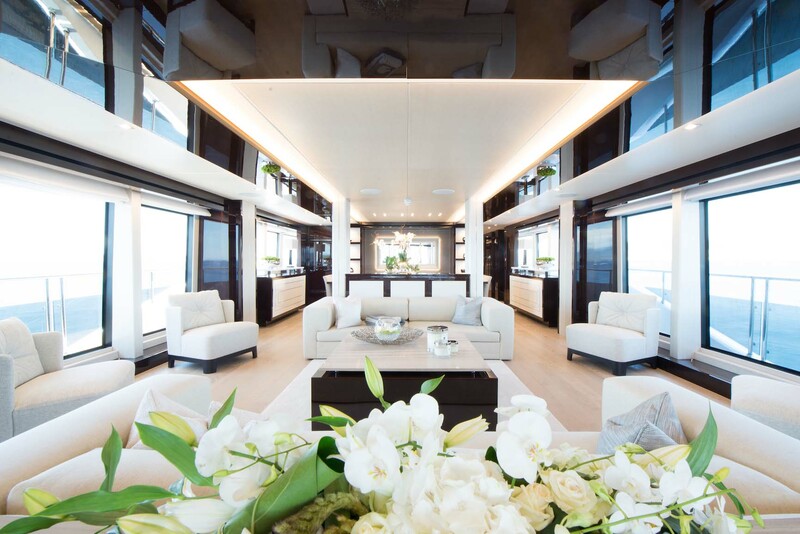 Inside, the interior is modern and chic, with contemporary lines, hardwood accents and generous windows offering stunning views. 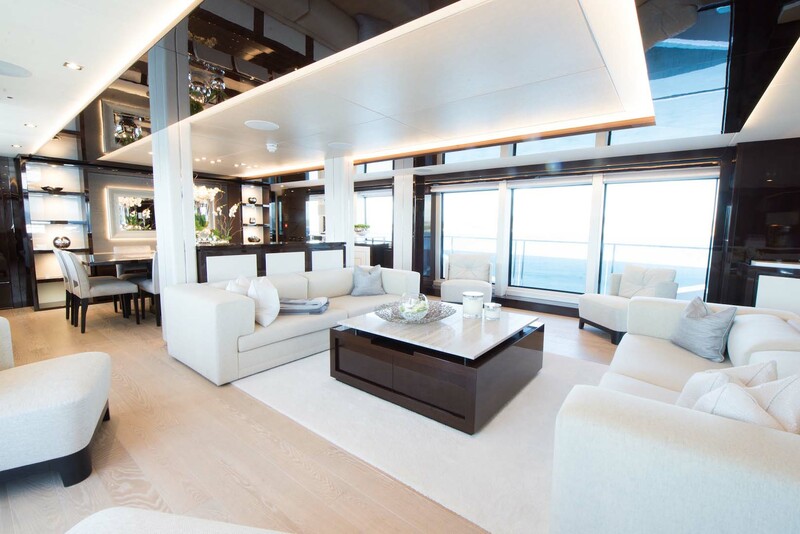 A spacious lounge area is an ideal shared social space, while the adjoining formal dining area is surrounded by beautiful artwork. 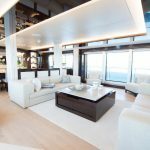 A separate indoor bar area tempts you to enjoy a scrumptious cocktail while overlooking the azure sea. 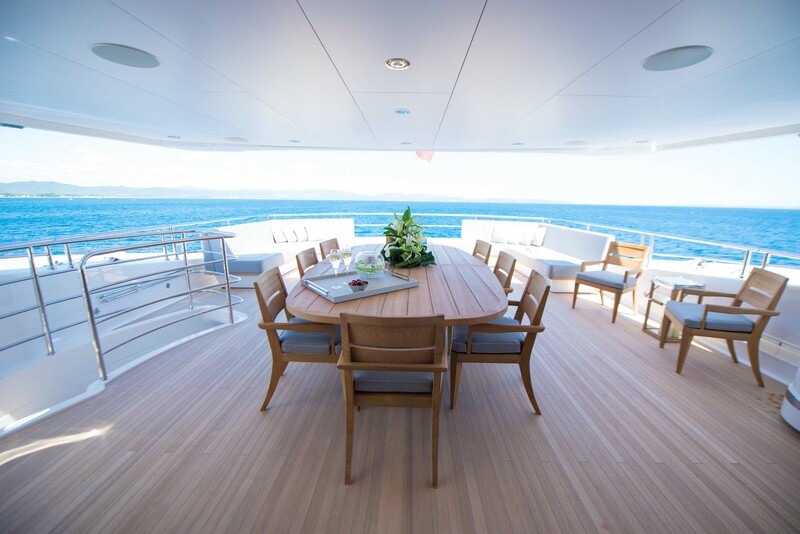 Alternatively, take a few steps out onto the decking of the yacht. 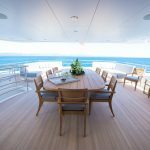 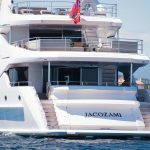 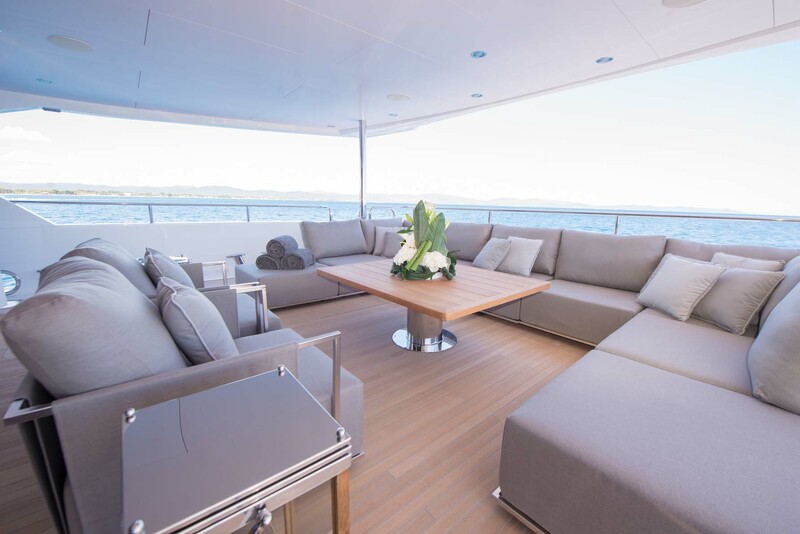 An expansive alfresco dining area seats ten and is partly covered so as to allow for use in all weather, while the upper sundeck has ample sunbeds and an indulgent jacuzzi. 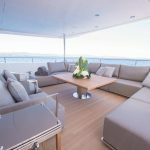 There is also an outdoor barbecue area; ideal if you are planning to entertain or host a relaxed meal together with family, friends or associates. 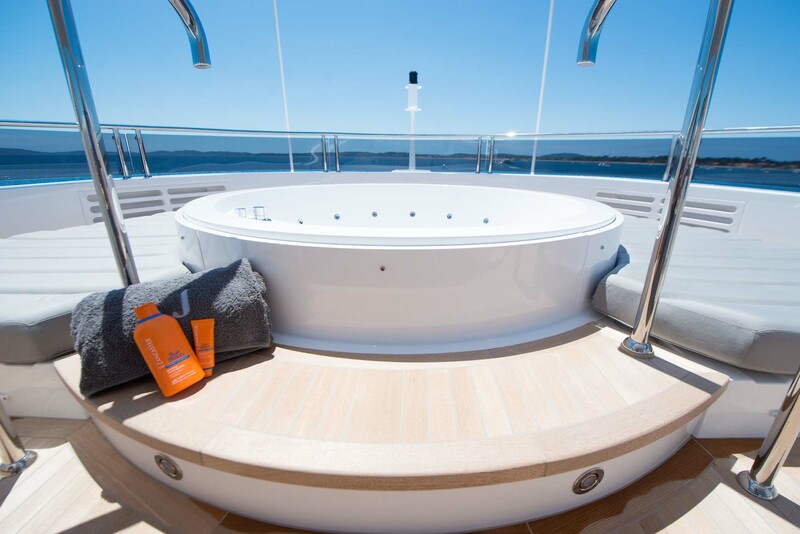 The E Motion is carefully equipped for the ultimate in enjoyment and leisure, and offers numerous watersports. 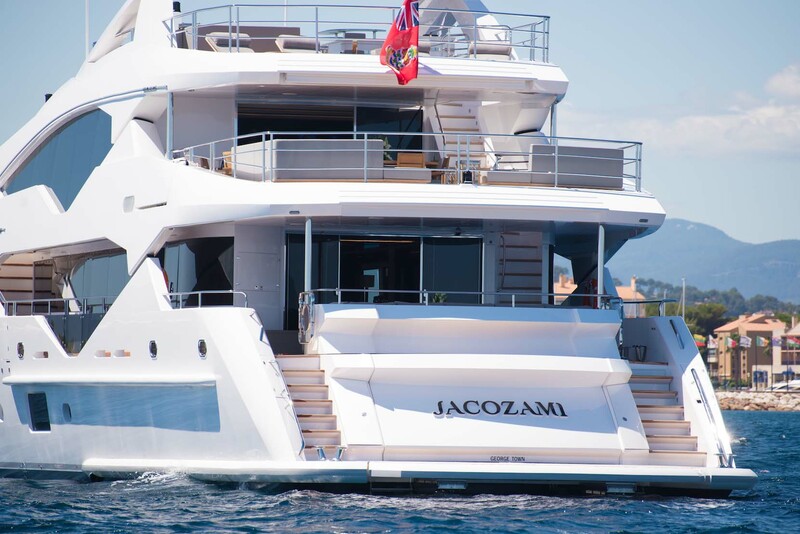 These include two Sea-doo jet skis, two stand-up paddle boards, two seabobs, wakeboards and water skis. 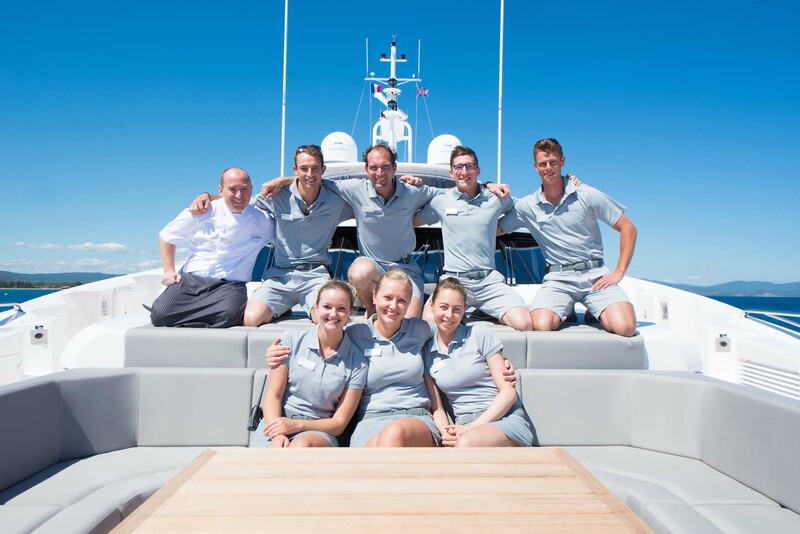 Staff onboard are accredited to train you or your guests in the use of these water toys. 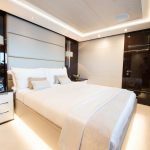 At the conclusion of each luxurious day aboard the E Motion, retreat to the spectacular cabins for a peaceful night sleep. 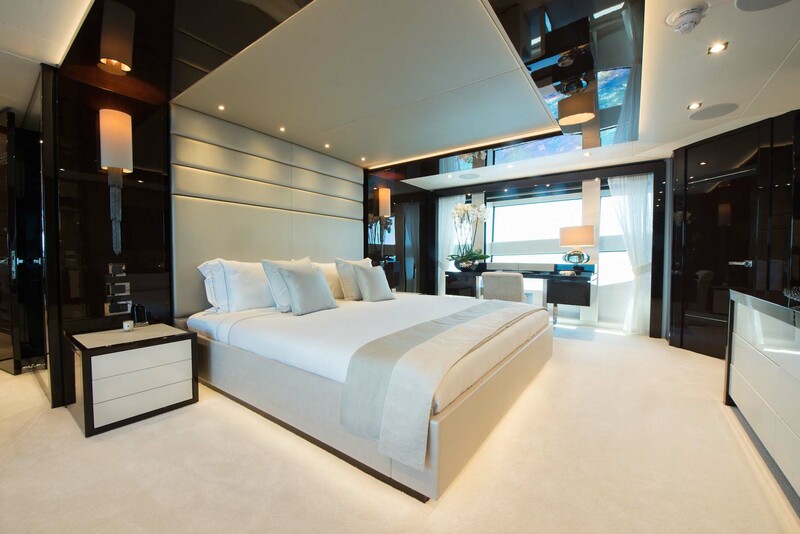 The expansive master suite is a particular delight, while two double cabins and two twin cabins add additional flexibility. 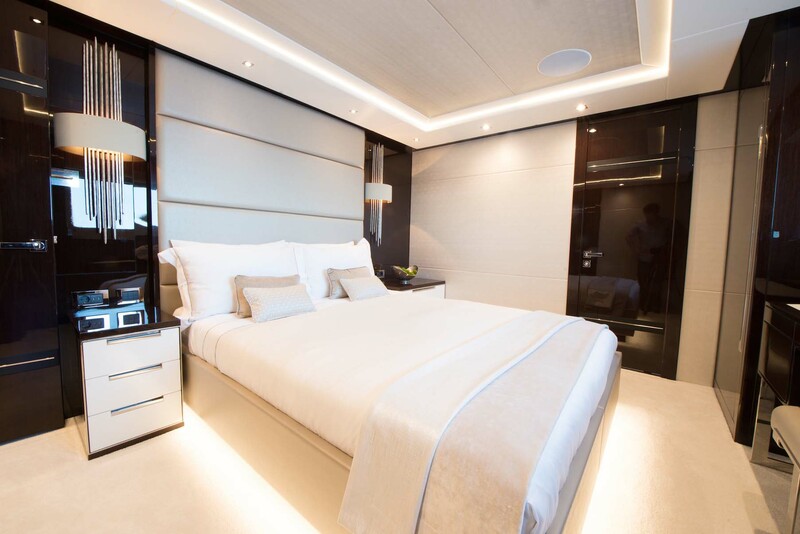 Eight crew can sleep comfortably in their own quarters, giving you convenience and privacy.